Old buildings under construction along Havana’s famous Malecón roadway. This article was originally published on Jan. 8, 2016. Roberto Benitez is feeling pretty good about things these days. A couple of years ago he quit his job to set up a construction co-operative with some friends, and business is booming. People are trying to fix up their houses to rent rooms to tourists, he explains; now that you can buy building materials in the markets, rather than being assigned them by government, there is a fever for small renovations. In a good month – and they are mostly good months, he says – Mr. Benitez is clearing 6,000 pesos, or $300. That may not sound like a windfall, but it's 15 times what he made as a youth organizer for the Communist Party, the job (a good one, by local standards) that he quit to go into the building business. "If you don't take risks, you'll never win ," he told me with a grin. Mr. Benitez, 36, reflected on his new foray into capitalism on the front porch of the old wooden house he shares with extended family in a shabby Havana neighbourhood called El Canal del Cerro. It was an unusually warm winter day, and he wore a tank top that set off the huge tattoo of revolutionary leader Che Guevara's face on his biceps. Mr. Benitez, however, was more keen to show me the shiny neon running shoes he had bought the week before. While he held forth on risk, his sister Katiusa and brother-in-law Carlos Lopez listened quietly (the family members asked me to change their surnames in this article, as they are "not supposed" to discuss these issues with a foreign reporter). Mr. Lopez, 34, quit his own job, as a waiter in a state-run cafeteria, about six months ago, to work for Mr. Benitez as a labourer. He earns four times what he made as a waiter. But he is aware that it's only about a third of what Mr. Benitez makes, as an owner. And they're both earning far more than Ms. Lopez, 37, a cashier in that cafeteria, or anyone else in the family who still, like the vast majority of Cubans, works for the government. And that's weird, they told me. A couple of years ago, all their salaries were within 50 pesos of each other. "Some people are getting very rich," observed Ms. Lopez. "And a lot of people are still very poor." It's a new phenomenon, one that makes them uncertain, she said. Mr. Benitez's 18-year-old son, also Carlos, wants to leave Cuba, convinced the only real opportunities are elsewhere. "You can't get rich here," he says. His dad pointed out their new fridge, new TV – and took a playful swat at his son, making the others laugh. The conversation moved along in fits and starts. Like the rest of Cubans, they are just beginning to figure out how to talk about this. Dec. 17 marked the one-year anniversary of Cuba's historic normalization of relations with the United States. And the country is four years into an economic reform process, launched by President Raúl Castro and starting to turn Cuba into a mixed economy, and people are taking stock. The "updating," as the government calls it, includes massive layoffs of state workers; agricultural reform including distribution of unused land; expansion of the private sector through small businesses; major cuts in social spending; legalization of the purchase and sale of homes and cars; a new tax code; and the elimination of restrictions on travel, making it much easier for Cubans to go to work abroad. As of this year, foreign investment and ownership is permitted in every sector except health, defence and education, in an effort to lure in international capital. Taken together, the measures are a tacit acknowledgment that there is a key role here for the private sector, and that Cuba's stifling bureaucracy must be reduced. The goal of the reforms at the outset was 5-per-cent growth a year, and up to $3.5-billion a year in foreign direct investment. So far, it has produced far less: Growth was just 2.3 per cent in 2012 and 2013, fell to 1.3 per cent in 2014, and was 4 per cent last year. Investment isn't pouring in, either. There have been missteps by the Castro regime. 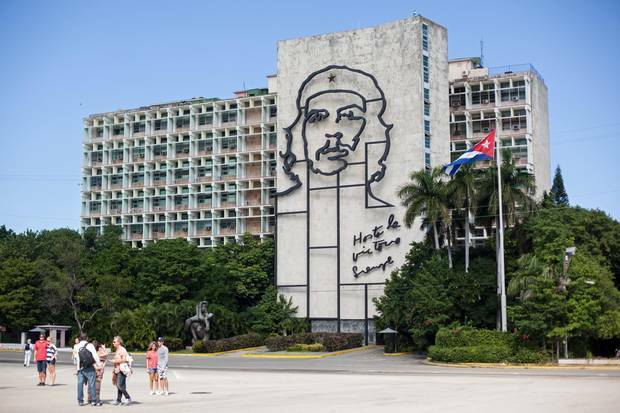 And the U.S. embargo severely limits what it can do, in any case: Almost none of the U.S. sanctions on Cuba has been lifted (the year of renewed diplomatic relations has produced only an extra rush of tourists, from the Cuban perspective). That means the government has no access to international credit, no U.S. investors, and is cut off from nearly all international telecommunications, export and infrastructure firms, who fear U.S. punishment for doing business here. Nevertheless, the changes wrought by this process are fundamental and far-reaching. More than 500,000 workers are now self-employed, a great many of them former state workers who were deemed "unproductive," and dismissed. There are 201 "activities," from running a restaurant to being a locksmith, cutting hair to repairing shoes, that Cubans can now obtain a licence to do privately. Worker-owned co-operatives, once permitted only in agriculture, are now allowed in a range of other occupations, such as Mr. Benitez's construction group. Some, particularly the owners of larger restaurants (maximum 50 seats permitted) and those managing teams of construction workers, are making money. No one is getting rich. "You don't get rich by setting up four sewing machines in your living room," was the acerbic summary I heard from Isabel Moya, a publisher and feminist author in Havana. But the average worker's monthly salary in Cuba is 584 pesos, or $30. People working for themselves in the private sector are earning on average eight times the wages of people employed by the state, she told me. So they're happy, those people. But not all laid-off workers have managed to start a business, or get hired by one. Plenty of others are scraping by as workers on state-run plantations, or trying to survive even on a high-end state salary ($50 a month). They don't pay taxes, and they don't pay for housing or health care, but they still limp through the month, struggling to cover the rapidly rising cost of food. In 10 days of travel in Cuba, I met a family of farmers who live eight to a tumble-down two-room house; a truck driver who said his family is left with just rice by midway through the month. I picked up a soldier hitchhiking (my hired car cruised in glorious isolation down the empty highways) who confided that she is comparatively well-paid but going broke supporting elderly relatives who cannot survive on their pensions. Meanwhile, the government is making steep cuts to social benefits – pushing back the retirement age by five years, reducing the number of foods provided at subsidized prices, cutting energy subsidies, slashing welfare payments and reducing the staffing at health facilities. And in the newly liberated real-estate market, some Cubans are grappling with how to pay for a place to live, for the first time since the 1950s. "This updating of the Cuban economy has an economic impact, but also a social impact," Ms. Moya, 54, mused when we met one evening in her home in the centre of the capital. She talked about the 1980s, when so much seemed possible, and how very hard the 1990s were, after the fall of the Berlin Wall and the end of Soviet support. And now, in the past few years, everything has shifted again. "Some people have always had more money than others, but this is a new kind of inequality, one that we're not used to." Cubans are well aware of the sharp inequality – economic, social – that bedevils the United States, she noted. (State-run media make sure Cubans hear a great deal about the privileges of the 1 per cent, in the nemesis to the north.) Access to the Internet is still limited and expensive here, but many people know that inequality has been a topic of heated debate in Brazil and Venezuela, two key Cuban allies, and in other parts of the world. This country's isolation is still profound, but Cubans are making a late entry to a debate that has become a global preoccupation. Revolutionary icon Che Guevara exhorts Cubans on to victory from the facade of a government building on the Plaza of the Revolution, the famed venue in Havana for Fidel Castro’s fiery (and lengthy) public oratory. Cuba's 1959 revolution, for whatever else can be said about it, produced a notably flat society. Since shortly after a guerrilla force headed by Fidel Castro seized power, everyone has owned their home. Education, right through a doctorate, or two, is free. So is health care. As a consequence, Cuba is the Latin American leader in life expectancy, literacy and many other development indicators. Just as striking, when compared with Caracas or Sao Paulo or Mexico City, is the lack of a glaring disparity. 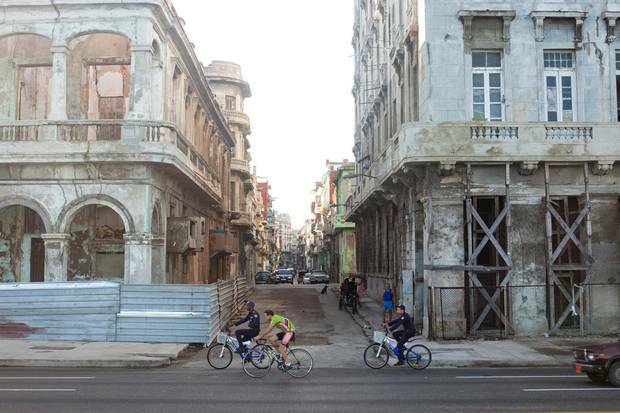 Havana has "good" neighbourhoods and less prosperous ones, but it does not have enclaves of mansions-behind-high-walls, green and serene in a sea of shantytowns. And in contrast to other attempts at planned economies around the world, this one has not produced a sleek and self-protective elite. The military controls all the most functional – and prosperous – areas of the economy, but there is rigorous scrutiny and punishment of corruption. When a member of the elite here has a privilege, such as the chance to buy a private car at less than the $275,000 price normally charged by the state – that car is a 2006 Lada. Luxury at home means a broadband connection. It helps, of course, to know someone – the way Mr. Benitez got cut in on ownership of a co-op, because he knew influential Communist Party people from his last job. But in Cuba, it counts for conspicuously less than it does in China, or even in a democracy such as India. This flat society, of course, came at the expense of an open one. Mr. Castro chose to implement his vision through a one-party system, and kept power in the hands of his family for more than 50 years. Information remains controlled; the media feed the population relentless propaganda. Until three years ago, it was extraordinarily difficult for Cubans to get off the island in anything but a rickety raft. And there is still no tolerance of dissent: Human Rights Watch said in September that there are "hundreds" of political prisoners, whose cases are hard to track because the government allows no access to the prisons. Last month, police detained 240 people at a gathering to mark the anniversary of the Universal Declaration of Human Rights. 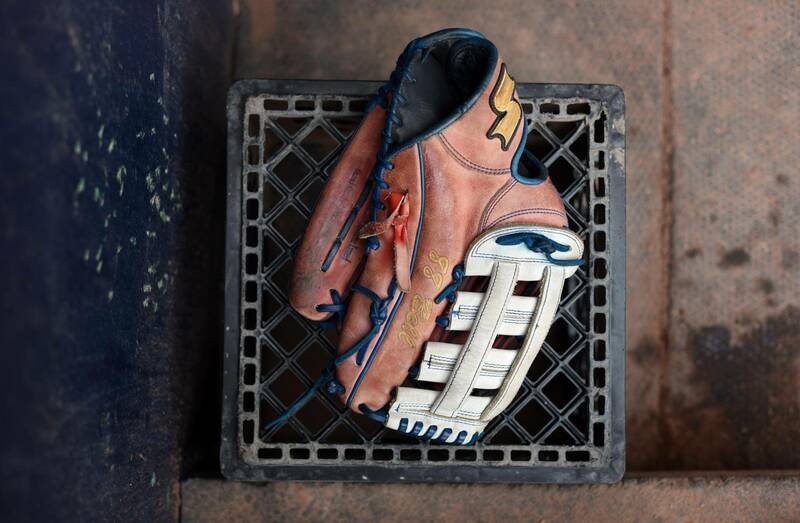 Grant Robertson follows the journey of four Cuban baseball players who hope a stop in Canada will help them realize their Major League dreams. I didn't go to Cuba planning to report on inequality. But as I had more and more conversations with people, from street hawkers to senior government advisers, it kept coming up, a source of comment and concern. So I set out to find some experts to help me understand how the situation was changing. But that proved tricky – not many people study inequality in a place where, in theory, the political system has eradicated it. Eventually I met Lily Nunez, a gracious and witty retired sociologist who invited me in for a chat in the hard-backed wooden chairs of her simple front room in Havana. Remember, she said, this was one of the most stratified countries in the world when the revolution occurred. And so from 1959 through to the late 1980s, Fidel Castro oversaw a process of "homogenization," modelled on the Soviet plan. That meant expropriating from the rich (or seizing the assets of those who fled) and using a panoply of measures to raise everyone to a comfortable mean level of income, where all their needs were met, and there was space for intellectual and cultural pursuit. It meant ending discrimination based on gender, and in Cuba, where 36 per cent of the population are black or mixed-race people descended from slaves, it meant working for racial equality as well. But, Ms. Nunez said, the homogenization project had to be abruptly abandoned when the Soviet Union cancelled $8.3-billion a year in subsidies to Cuba. Wages declined by 70 per cent, food was scarce (the average Cuban is said to have lost 20 pounds) – and as the U.S. tightened its sanctions, determined to seize the moment to topple the Castros, imports evaporated. Everyone suffered, in what Fidel named the Special Period in the Time of Peace – but some, she said, suffered more than others. The economic reforms were intended to redress these inequalities. And yet, perhaps predictably, they are exacerbating them and creating new ones. Opening a new business, for one thing, requires capital – money to buy the grey-market goods to sell in a shop, or to invest in the furniture and supplies to open a beauty salon, or to renovate a room to rent to tourists. But Cuba's state-run banks have only limited credit programs, and it is daunting to take out a loan to start a business when you're living on $24 a month. Instead, most Cuban entrepreneurs have relied on gifts and loans from relatives abroad. 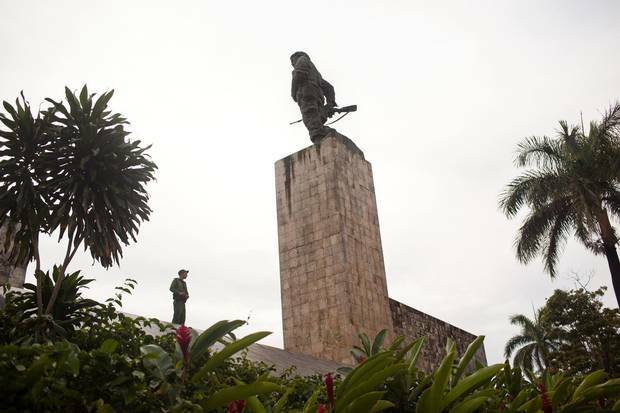 A guard is dwarfed by the bronze statue of Che Guevara that towers over his final resting place in Santa Clara. In the colonial town of Santa Clara, for example, I met a family running a small guest house. They had renovated their tumbledown home on the cash their daughter, a marketing executive who emigrated a decade ago, sent in instalments from Miami. Their first two guest rooms have been full for a year, with visitors who pay $40 a night in hard currency, so now they're looking for a bigger property. "It took us almost two years to be able to get the house ready," said Pedro Perez (a pseudonym – he was afraid to be quoted by a foreign journalist). "We couldn't get a loan for that." But it's a particular kind of Cuban who has relatives abroad: white people, like Mr. Perez. Ninety-four per cent of the Cuban migrants to the U.S. have been white. Cubans of Spanish ancestry have access to EU passports and a chance to work in Europe. Afro-Cubans, meanwhile, who were the poorest citizens at the time of the revolution, have the least access to credit, are least likely to emigrate, have the lowest levels of education and remain at the bottom of the economic pyramid. Daisy Rubiera, the 76-year-old author of a seminal book on Afro-Cuban identity called Reyita, agreed to meet me and try to illuminate some of the shadowed corners of racism in Cuba – again, something the revolution theoretically eliminated. Black Cubans did not have assets to sell or rent during the crisis of the 1990s, she said. "Tourism came, and whites were put forward as the faces of tourism, and blacks cleaned rooms. The new partnership businesses were with whites." It is no different now, the stately, white-haired Ms. Rubiera said over tiny cups of bitter coffee. "Today, black people do not have a car to rent, a house to rent. … The new economic reforms have increased the gap – businesses say they don't want black employees." It's a sharp irony of the Castro economic reform program that many of those who have benefited most are white Cubans from the former elites, who have the strongest ties to the exile community, the closest links with the still vehemently anti-Castro Cubans in Miami. Members of the military and the police force, meanwhile, are overwhelmingly black; they are the most loyal backers of the revolution – and they're earning $70 or so each month. When Yennit Hernandez, 34, was growing up, her mom and dad both worked for Cuban government companies. Her grandparents worked in government factories. And when her friends finished school and started working, they all went to state jobs, too. But Ms. Hernandez pictured a different future for herself: a few years ago she took her new ceramics degree, her very small pot of savings and a lot of hard labour, and turned the garage of her family’s semi-derelict house in the fishing village of Cojimar into a tiny ceramics gallery. Then she converted the middle of the house into a 10-seat seafood restaurant. “I thought it would give people a reason to come to the gallery, because everybody eats but not everybody wants beautiful things,” she says. Her partner, a chef, took over the restaurant, and it’s booming (they’ve added 30 seats). Ms. Hernandez, meanwhile, has opened a second gallery in tourist-thronged Old Havana. She has commissions, too, such as one to make vases for a new hotel. She expects to earn $600 on that job, after two months work, and pay about half of it in taxes. If that doesn’t sound like much, recalculate by Cuban standards: a doctor makes about $70 a month here. Racial inequality has plagued Cuba and, in a change from insisting it would inevitably be eliminated under socialism, Daisy Rubiera noted that Raul Castro has spoken about it repeatedly in recent years as something the country must address and improve. But there is another inequality emerging these days, Isabel Moya said, leaning back in the wheelchair she uses with a "brace yourself" kind of pose. Those new private-sector jobs – where people are earning eight times the average state wage? Those are dominated by men. In the first two years of the reforms, women made up only about 15 per cent of the workers in these new jobs. Last year, the number had crept up to nearly a third. In contrast, women are 80 per cent of judges, 85 per cent of prosecutors and 70 per cent of health-care professionals. Now, she said, women are choosing to stay in state jobs. In part, that's because the new private-sector businesses are predominantly in occupations traditionally dominated by men, such as plumbing and taxi-driving. But women are staying where they have security. "Men are encouraged culturally to be more adventurous and take more risks – it's how you're raised," she observed. When women have gone into private business, Ms. Moya said, they are almost entirely concentrated in 10 of the 201 economic activities – those traditionally considered women's work, such as caring for children and the elderly, working in salons, and cooking in cafés. "And they are workers, not owners," she added. Men have more access to assets to invest – they tend to own the restaurants. Cuban women have enjoyed pay equity for decades, she noted – the state sets one salary for each category of job – but it is already clear that there is no such practice in the new private businesses. And meanwhile, she added, all women, be they high-court judges or café cleaners, retain full responsibility for the "second shift" – for all child-care and domestic responsibilities. Somehow, the revolution never changed that. Here's a story that Pedro Perez, the Santa Clara guesthouse owner, told me – a little tale that captured so much about the Cuba I saw. Mr. Perez is not shy about his frustrations with the government: with the slow pace of reform, and the huge taxes he pays. His list of complaints – those sotto voce off-the-record complaints – was long. But he went to the bank not long ago, to see about a loan for more renovations. "There was another family waiting for a loan, a family from a humble background," he recalled. "They have a daughter with a lot of disabilities, and they want to make changes at home so it's easier to keep her there. They wanted a loan, too. But the bank said they should just take the money, not pay it back. And that's the way it should be, isn't it? Loans for the people who need them, and subsidize the people who need it." There is still, today, a strong social consensus about the role of the state in protecting the vulnerable. But it's up for debate how long that will last, Ms. Moya said, as Cubans reconsider all their values in the next year or two. Her once-elegant house, decrepit in spots, is sparsely furnished but crammed to the gills with paintings and sculptures – as with so much in this place, where the modern or the luxurious is lacking but there is a different sort of richness. "It's a debate in Cuban society – what is success?" she said. "Is it to work more? What is consumerism and what is necessary consumption? It's natural that the people who lived through the Special Period idealize having 'things.' But are the most important things in life 'things?'" Although the majority of Cubans have never left the island, have no access to the Internet, and only state-controlled media, it was quickly clear to me that many have a highly developed sense that not everything is better elsewhere. They take huge pride in their universal health and education systems. But here's what else you notice, coming from outside. 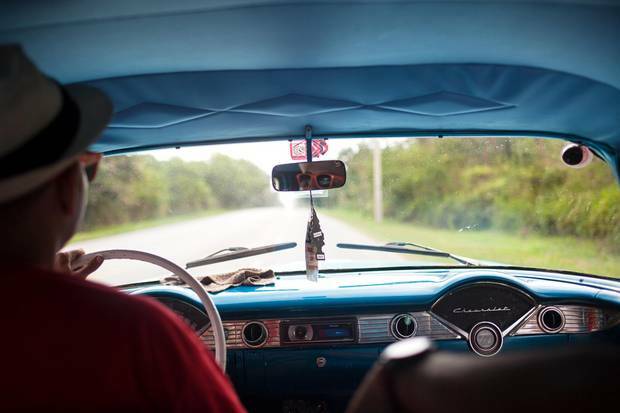 Cubans value leisure time – that people get off work at 4 or 5 p.m. and leave it behind. The upside of the lack of Internet is that no one is expected to answer e-mail from the boss at 10 p.m. Cubans are proud that their society still puts a premium on culture workers. And when they stand in line – and they stand in line a lot – people converse, rather than each one standing silent, eyes locked on a tiny screen. "Even though most people haven't left the country even for a visit, they know what capitalism is, and they don't want it," Lily Nunez said, with the conviction of a person who might have left but chose to stay. "People want more opportunities and for things to be more open so they can earn money by working. They want 'perfected socialism,' you could call it." The question for the regime is how much control it must keep (it is currently erring on the side of near-total) and what freedoms should be allowed, to reach a tolerable balance. "If you want to maintain these social policies of equal housing, food, education for everyone, you have to have an economic system that supports it," said Ms. Nunez, with a rueful laugh. "It's very difficult – if they asked me to be president, I wouldn't do it." 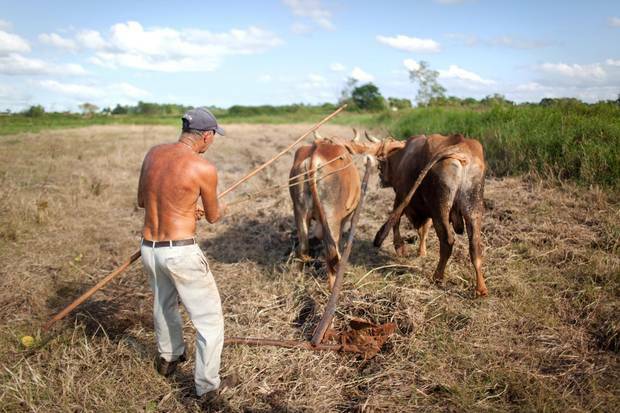 Martinez Modesto, who farms near Santa Catalina, west of Havana, uses a team of oxen, rather than a tractor, to prepare his field for the tomato crop he plans to sell in local markets. 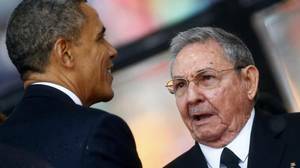 Joaquin Infante, vice-president of the National Association of Cuban Economists and an adviser to government on the reforms process, is at pains to assure that the actual president, Raul Castro, has the matter firmly in hand. The government will keep control of all key sectors such as banking, communications and transportation, he said. Taxes will remain at 50 per cent – or go higher – on any profit over 50,000 pesos ($2,600). "We will promote co-operatives more than private workers, because co-operatives have greater social value – we're not permitting people to get rich." Nevertheless, there will be openings. "We can never again be the way we were before the 1990s," the 90-year-old Mr. Infante said, wistfully, in the boardroom of the wedding-cake-inspired colonial building that houses the association offices. "We will make all these changes but no one will be unprotected. Socialism is irreversible in this country and we have to guarantee the revolution's victories – health, education and social support." And yet the architects of the revolution, most of them of Mr. Infante's vintage, will not have their hands on the controls much longer. Fidel Castro, at 89, has receded from politics, while Raul Castro, at 84, says he will step down in 2018. It is not at all clear who his successor will be. Traffic, let alone congestion, is rare in Cuba, where few can afford cars. Yadir, shown here, has a privately restored 1956 Chevrolet, which he relies on to earn his living as a driver and tour guide. Over 10 days in Cuba, every person I talked to brought up the economy – hopefully, or more often critically, with frustration at the pace or narrow scope of change. But not one person mentioned political change. In some cases, it was clear that people felt nothing good could come of discussing the regime with a foreign reporter. But in others, especially with young people, it was as if the idea of being ruled by anyone but the Communist Party was unfathomable. And some, as Ms. Nunez says, are resigned, given their doubts that anything else would be better. Change, however, is coming quickly – through biological imperative if nothing else. And the regime appears intent on controlling that process. "The Cuban government doesn't use the words 'transition' or 'reform,' but Cuba is on the edge of inevitable change from a regime that was historically legitimized to one that is more institution-based," explained Raul Rodriguez, a political scientist with the University of Havana. There is a widely held perception here that the primary goal of the new U.S. engagement with Cuba is to undermine the revolution and the Castros through the rush of capitalism, rather than isolation. That threat, plus the time pressure, makes the Castro regime intent on building irreversibility into the process – a sort of insurance policy against anyone messing up their revolution in the future, as Prof. Rodriguez described it. But what about those who come after? The generacion historica, as the Castros and their fellow former guerrillas at the top of government are known, have had a moral legitimacy and an ethical purity that have made Cubans willing to tolerate much from them. They were abstemious in the extreme; their children received no great privileges; their families accrued no ostentatious wealth. No one after them has that inherent legitimacy. And there is real debate whether others will share their crystalline ideological purity. The go-to person to explain the military and political transition turned out to be, oddly, a Canadian – historian Hal Klepak, a professor emeritus at the Royal Military College in Kingston, Ont., who has spent time in Cuba since before the revolution and studied its military in depth. Reached by phone in Ottawa, he said the risks of corruption and abuse under new leaders are "very serious." "Today, there is no impunity – there is a special branch that does nothing but check on military officers that do business with international firms and tourism – and there is ferocious treatment for those they catch," he said. But what becomes of the role of those military officers who run the country's most lucrative tourist resorts and import firms, under a new regime? And who will their priorities be? Ms. Rubeira, the expert on race in Cuba, rubbed knotted fingers at her temples when we talked about the transition. "It worries us, the descendants of Africans, the passing of the historic generation," she said. "Because, although the problem is not solved, Fidel always tried to find a solution, and Raul followed his steps as president. But Fidel is …" Here she trailed off out of delicacy, for no one here refers directly to the aging Mr. Castro's eventual passing. "And Raul will step down – so what's going to happen with the [new] leadership, who don't have these ideas?" Already, Ms. Nunez, the sociologist, says, her sense is that the commitment to equality is not as strong today as it was a couple of years ago. The state must lead, with policy that recognizes the existing differences. "If you treat everyone equally, you'll reproduce inequalities," she said. "Policy must focus on historically disadvantaged groups, and account for geographic differences." One crucial factor, she added, is credit: The government must act quickly to extend a program of loans to Cubans who do not have relatives abroad sending cash and gifts. Back in his old job working for the Communist Party, Roberto Benitez, the contractor, says that he used to talk a lot about building a better Cuba, and the role of young people in safeguarding the revolution. He talks about it much less these days, and he doesn't miss it particularly. It is a better Cuba, he says: "We've got food these days, and new clothes, and I can afford to buy things for my kids." And the rest of his family, and the others in the neighbourhood? He's just hoping they'll catch up. Stephanie Nolen is The Globe and Mail's Latin America bureau chief. Editor's note: An earlier version of this story incorrectly stated that the convertible peso is worth four times the national peso. In fact, the convertible peso is worth 25 times more. This online version has been corrected. Canada's role as a U.S.-Cuban matchmaker In December, 2014, Campbell Clark took a look at the secret high-level talks to re-establish ties between Washington and Havana, and the role Canada played in them.